Imagine that you have secured a slot on a special “green” edition of Dragons’ Den and want to devise a business proposition completely in tune with the spirit of 2012. You surely could not improve on offering a wholesome, natural product in fully recyclable containers, conveniently delivered direct to the customer by environmentally friendly electric vehicles. Which is precisely what we had in the doorstep delivery of milk, a system that we as consumers have happily conspired with the supermarkets to destroy. When I was a boy two competing milk floats clattered down our street each morning. My mother, in her belt and braces way, patronised both of them, believing that this might give her a competitive edge if rationing were ever reintroduced. They competed, I should add, only on promptness and reliability. Both sold at the same price and the option of buying milk from a shop seemingly did not exist. We needed a service like this because, until I was around ten, we did not own a fridge. 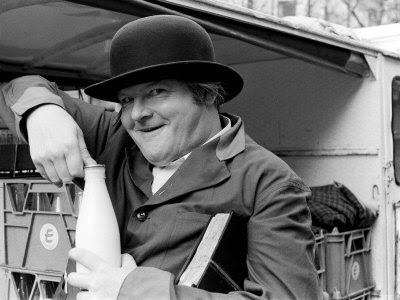 Even delivered daily, milk was pretty unpalatable for half the year for those of us with delicate sensibilities. I spent many morning breaks at school ducking and weaving to avoid my free third of a pint, crates of which always seemed to be deposited in full sun in the hottest corner of the playground. But then came our first refrigerator and I belatedly discovered a real taste for delicious fresh, whole milk, always delivered in bottles with a distinct layer of yellowish cream towards the top. This provided the perfect complement to strawberries in the summer. 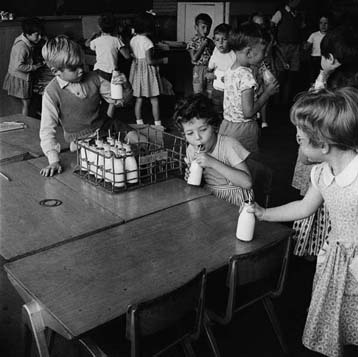 Like so much else, milk has never been as good as it was in those halcyon days of childhood. Even whole milk, which we have to buy again now that we have small children in the house, is “standardised” and homogenised so that being able to pour fresh cream off the top is only a happy memory. 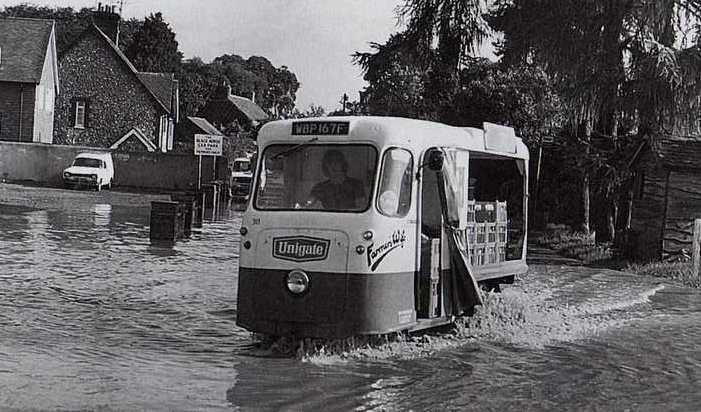 The coming of almost universal domestic refrigeration put the first nail in the coffin of doorstep milk delivery. The demise of the stay-at-home mum contributed the second, because who wants to come home from work to pick up milk that has been sitting on the doorstep all day? Then the big supermarkets identified the milkman, along with the family baker, butcher and greengrocer, as a soft target and relentlessly pursued their quarry with prices that were literally a fraction of the doorstep pint. As if that were not enough of a headache, most of us now choose to buy our milk semi-skimmed or skimmed, creating a surplus of cream that has to find its way onto unforgiving global commodity markets, further driving down the returns to our hard-pressed dairy farmers. Small wonder that three quarters of the UK dairy farms in business 30 years ago have given up. Many more will surely follow. I feel sorry for them, really I do. But sadly I fear that the future is no brighter for them than it was for the UK coalminers or textile workers, many of whom had also followed the same calling for generations. 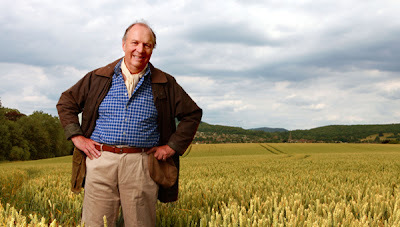 If world market forces prevail, the future is more indoor mega-dairies like the monstrosity that the grasping Brian Aldridge aims to inflict on Ambridge in The Archers; and, for us consumers, more of our milk coming in UHT cartons from abroad. Brian Aldridge: "One day, my boy, all this will be a bloody great shed." Is this inevitable? No, nothing is inevitable apart from death and taxes. But, if we want to avoid it, many more of us need to think long and hard about the quality and provenance of the food we buy, and the welfare of the animals and people in the supply chain. Seeking out and supporting local producers may always be a middle class luxury, in a mass market relentlessly focused on the lowest possible price. But for those of us who are lucky enough to be able to afford a few pence more, it really is the least that we can do.